The U.S. Department of Veterans Affairs (VA) Home Loan and other housing programs help veterans, service members, and surviving spouses purchase, build, adapt, and renovate homes. One of the most commonly used loans is the VA Purchase Loan, which specifically allows qualified veterans to purchase an existing home without many of the requirements of traditional mortgages – there’s no down payment, no private mortgage insurance, competitive interest rates, and easier qualifications. The VA Purchase Loan isn’t a loan offered by VA itself. Rather, loans are provided through private, approved lenders. But VA offers a “loan guaranty.” As stipulated by VA, it “’stands behind’ the loan by guaranteeing a portion of it. If something goes wrong and [a borrower] can’t make the payments anymore, the lending institution can [go to VA] to cover any losses they may incur. The VA loan guaranty is the ‘insurance’ that [it provides] the lender.” The process for purchasing an existing home or new construction is fairly straightforward, including finding a VA-approved lender, getting a Certificate of Eligibility and, of course, selecting and purchasing the home. But some people aren’t satisfied with the existing homes in the area in which they wish to live, while others have always dreamed of building their own homes. VA Home Loans, traditionally used for mortgages, can also be used to build a new home – but it can be a tricky road to construction. There are two types of loans involved in financing the building of a new home from house plans: the construction loan and the residential mortgage loan. Although many institutions offer construction-to-permanent financing, which rolls the construction loan over into the mortgage and requires only one closing, VA does things differently. While VA allows the home loan guaranty to be used for construction loans, it is not common for VA-approved lenders to finance the construction loan with the same terms as a mortgage, as the lender takes on more risk for a construction loan. During the construction loan phase, the lender provides the funds for paying contractors as the builders complete specified construction milestones. Many prospective homeowners looking to use the VA home loan guaranty on a construction loan find that they are asked to provide a down payment or agree to additional terms for the loan. 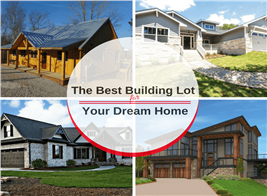 The type of home you want to build may also make things more complicated. Custom homes and homes built from purchased house plans may be more difficult to finance than modular homes, for example, and manufactured homes are seen as high risk. 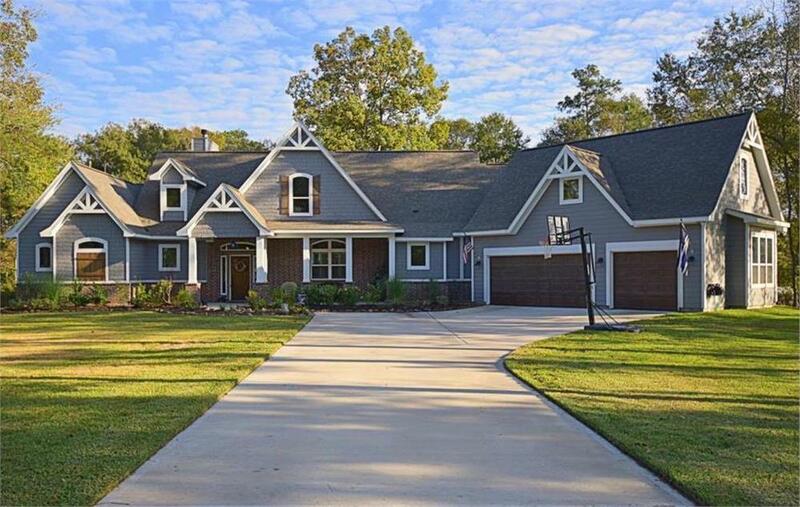 For veterans who dream of building a family home like this 2,499-sq.-ft., 3-bedroom, 3-½-bath Country style Ranch home plan (House Plan #106-1274), VA loans can help, but the process isn’t as straightforward as buying an existing home. Some VA-approved lenders will assist with a certain type of construction-to-permanent loan. In this type of construction-to-permanent loan, the construction is first financed by the homeowner, often through a builder; this is later refinanced into a VA home loan with the help of the VA lender. Before this, many service members use the Certificate of Eligibility required for the VA home loan to negotiate a construction loan. That is not to say that there are not VA lenders that will help with a construction loan – there are, but they can be difficult to locate. 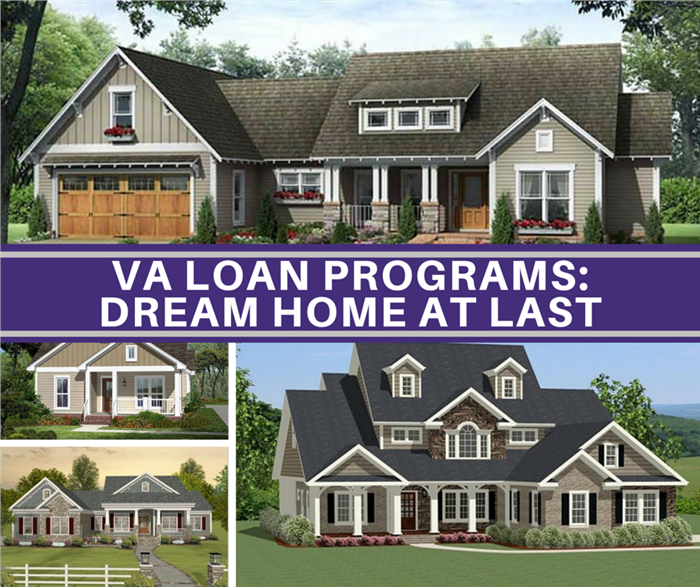 For hopeful homeowners who are set on a custom build and can’t find an approved lender to finance a construction loan under the VA home loan guaranty, it is possible to find a builder that offers special programs or discounts for veterans. VA’s housing programs are not limited to home loans. Disabled veterans may be able to partially fund the construction of an adapted home, such as a wheelchair accessible home, with the help of a Specially Adapted Housing (SAH) Grant. A similar program, the Special Housing Adaptation (SHA) Grant, is used to adapt or purchase existing homes. Through the SAH Grant, veterans can obtain funds up to the current maximum of $70,465 to construct a home adapted to their needs. Many of these disabled veterans have spent a long time in VA medical centers, away from their homes—homes that may not be suitable for them once they return. Using the SAH grant to help construct a home allows disabled veterans to live comfortably and independently after a severe injury. 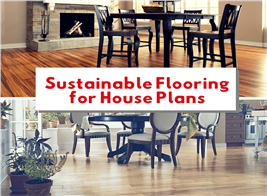 For those looking to construct an accessible home, wheelchair accessible house plans are available, many of which allow modification to specific needs. 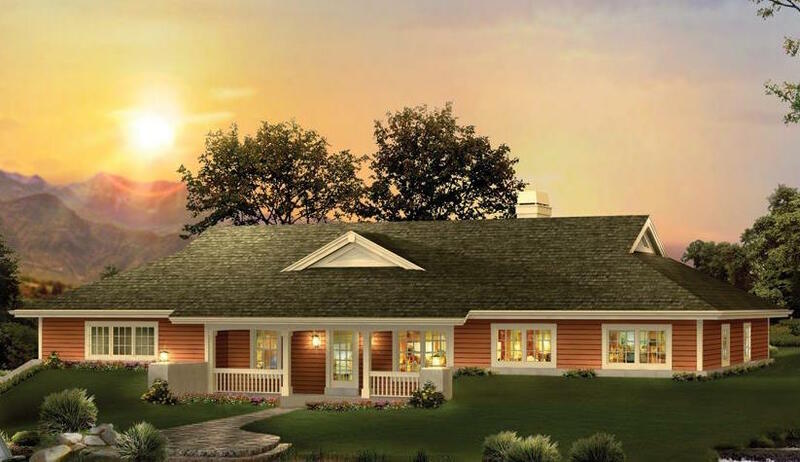 Disabled veterans are able to build accessible homes like this 1-story, 2,163-sq.-ft, 3-bedroom Ranch style home plan (House Plan #138-1238) using grants from VA.
Building a new home tailored to one’s family lifestyle is the dream of many Americans, including service members and veterans. With the help of a VA Purchase Loan, VA home loan guaranty construction loan, or VA special grant, it can become a reality. 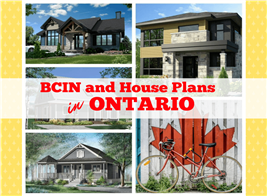 Footnote: In the lead image, the photographs (clockwise from top) depict the following house plans: 1,800-sq.-ft., 3-bedroom Craftsman style Ranch home plan (House Plan #141-1077); 2,880-sq.-ft., 4-bedroom Farmhouse style Country home plan (House Plan #189-1016); 2,156-sq.-ft., 3-bedroom Craftsman style Ranch home Plan (House Plan #109-1193); and 1,375-sq.-ft., 3 bedroom Country style Cottage home plan (House Plan #142-1054).